Arrowroot (Maranta Arundinacea) other names: Arrow-Root, Arrurruz, Dictame, Herbe aux Flèches, Maranta, Maranta arundinacea, Marante, Marante Arundinacée. 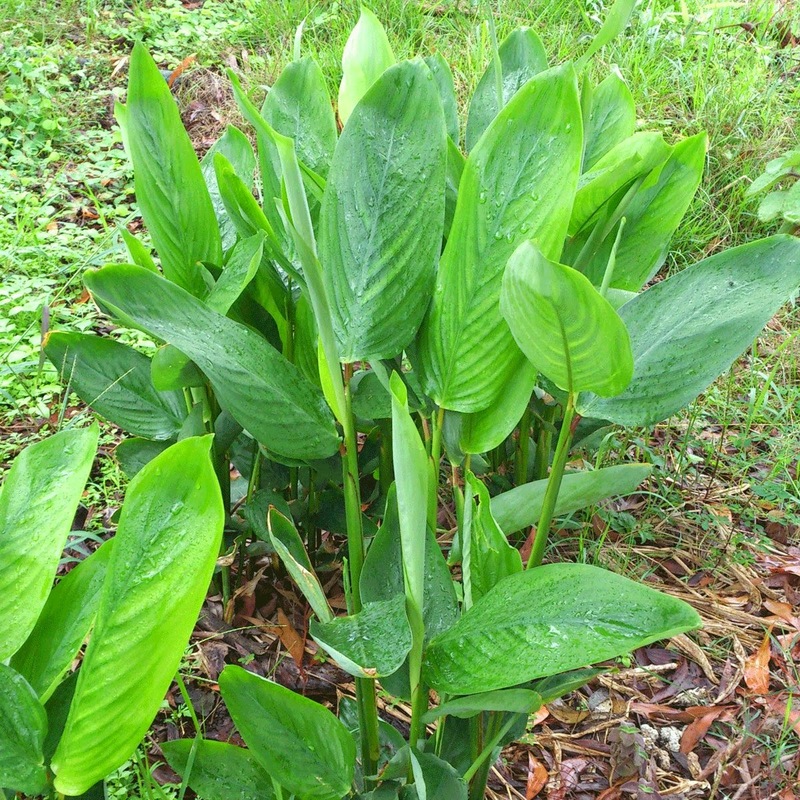 The arrowroot plant is basically indigenous to the West Indies as well as tropical America. Arrowroot found in abundance in the stretch from southern Mexico to Brazil. Later, the plant was brought to south-east Asia, India as well as several tropical African nations where arrowroot is grown commercially, but on a small scale. Arrowroot is a perennial herb. The stems of this herb resemble reeds and grow up to a height of approximately two meters or six feet. The plant produces soft, oval-shaped leaves that are somewhat covered at the bottom. The plant bears pairs of cream hued blooms at the apex of the extended stalks. The plant has a permanent rubbery rhizome that bears several fusiform or spindle-shaped, scabby, overhanging tubers at the apex. 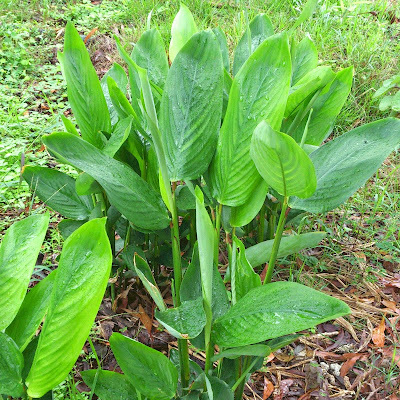 The leaves of the arrowroot grow alternatively and are covered with long, luxuriant and bushy sheathes. The leaves are oval-shaped tapering to the point similar to the head of a lance and vaguely hairy on the underside. The leaves have a light green hue on both sides. The arrowroot bears flowers that are supported by long, drooping and extended stems. The blooms have long and straight covering bracts at the branch junctures. 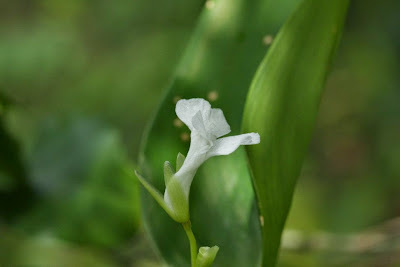 While the calyx of the flowers are green hued and even, the corolla is white in color, petite and not aligned with the inner section making them appear like lips. The ovary of the arrowroot flowers has three cells and is bristle-like. The plant bears a spherical fruit having three obsolete angles and in the size of small currant or dried grapes. The plant was brought to England around 1732 and was grown only as a stove plant (any plant that needs simulated heat to make it grow in cold climates) with the tanners' bark. Arrowroot is basically an herbaceous plant without any woody stems and grows permanently. Arrowroot has a crawling tuber or rhizome that is curved in the air and is plump with tubers that resemble cylinders. The stems support creamy hued blooms at the tip of the thin branches that ends the stalks. Flowers of arrowroot normally blossom in pairs. The plant produces multiple oval-shaped leaves that are smooth and bereft of bristles. The leaves vary in length between two and ten inches and have elongated coverings that sometimes even wrapping the stalks. Arrowroot rhizomes that are less than one year old yield starch. The extracted starch is washed, made into pulp in grinding bowls made from wood, blended in clean water and the fibers are squeezed by hand to obtain milky liquor. The milky liquor is strained and then allowed to stay for sometime before draining it into containers. Once again clean water is added to the liquor, the liquid stirred and drained. Next, the starch obtained from the substance is spread out on sheets and dried in sunlight, while being cautious not to allow any insect or dust to settle on it. Each rhizome yields starch equivalent to approximately 20 per cent of its weight. It is necessary to ensure that the starch obtained from the arrowroot rhizomes is unscented and does not have a distasteful flavor. In case the start form moulds, it should be discarded immediately. While the starch from arrowroot rhizomes is best when it is dry, when the powdered starch is rubbed, it makes a squeaking sound, but feels hard. Here, it is important to note that the starch granules should be examined under the microscope to ensure their purity. Barring the jelly prepared with tous-les-mois, the arrowroot jelly is said to be the most obstinate. On many occasions, arrowroot is basically used as puddings or blanc-mange. On the other hand, the plant's roots may be candied like eryngo. In places like Jamaica, arrowroot roots were pounded to be used as poultice to heal venomous stings as well as wounds owing to arrows. According to the medical science, arrowroot is effective in calming down the digestive tract. Moreover, in earlier times, many hospitals mixed it with barium meals provided to patients before taking X-ray pictures of the gastro-intestinal system. It has been more or less established that arrowroot is a nourishing diet without any side effects. It is prescribed for some disorders as well as patients recuperating from fevers, inflammations in the digestive tract, the respiratory organs of the body and even the urinary tract. Arrowroot is used as a nutritional food for infants and for people recovering from illness. Arrowroot is also used for stomach and intestinal disorders, including diarrhea. Moreover, arrowroot is also an effective substitute for breast feeding in infants and may be given to children for a brief period after they have been taken off breast milk. Arrowroot may be administered as jelly seasoned with sugar, concentrates, lemon juice and even scents. Although people sometimes substitute arrowroot with potato starch, the latter is likely to cause tartness in the digestive system. It may be mentioned here that barring tapioca and tous-les-mois, arrowroot is much advanced in than any other starchy food available. Though the arrowroot jelly does not have any special taste, it is less likely to cause tartness in the stomach and is normally liked by the infants in comparison to other similar foodstuff. Only tous-les-mois and tapioca jelly are tauter. Normally, two to three drachms (liquid gram) are boiled in a pint (0.568 liter) of water or milk and seasoned according to preference before consumption. Consuming more than this quantity of arrowroot is not advisable. As mentioned earlier, herbal medical practitioners in several countries use pounded arrowroot rhizomes as poultice to heal disorders such as abrasions from venomous arrows, black spider and scorpion stings as well as to contain gangrene or decay and death of body tissues. At the same time, freshly extracted arrowroot rhizome juice mixed with water may be administered internally as a remedy for toxicities owing to vegetables like Savanna. Arrowroot is likely safe when the starch is used in foods. Arrowroot is possibly safe when used as a medicine that is taken by mouth or applied to the skin.